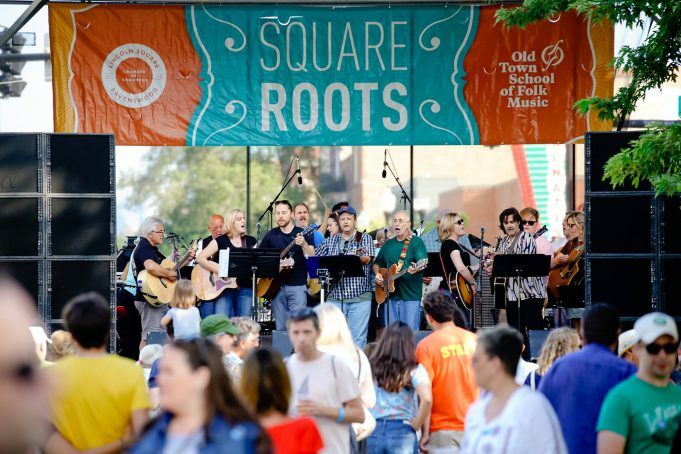 One of our favorite local festivals of the year has to be the Square Roots Festival in Chicago’s Lincoln Square neighborhood. This year, the fest featured plenty of fantastic neighborhood food and regional craft beers, unique vendors with a Chicago touch—and the best part—over 70 bands and artists from around the world performed and entertained on four stages. This is the perfect event for the entire family. The little ones enjoyed an art tent and an instrumental petting zoo. This festival is one that truly gives back to the community since your donations support free concerts and farmers markets courtesy of the Lincoln Square Ravenswood Chamber of Commerce and one of our favorite Chicago institutions—the Old Town School of Folk Music, supporting their financial aid programs and outreach programming. Here’s a look at some of the fun! Next articleTake an Outdoor Class With Equinox at the New Box Shops—the Location of the Midwest’s First Equinox Hotel!